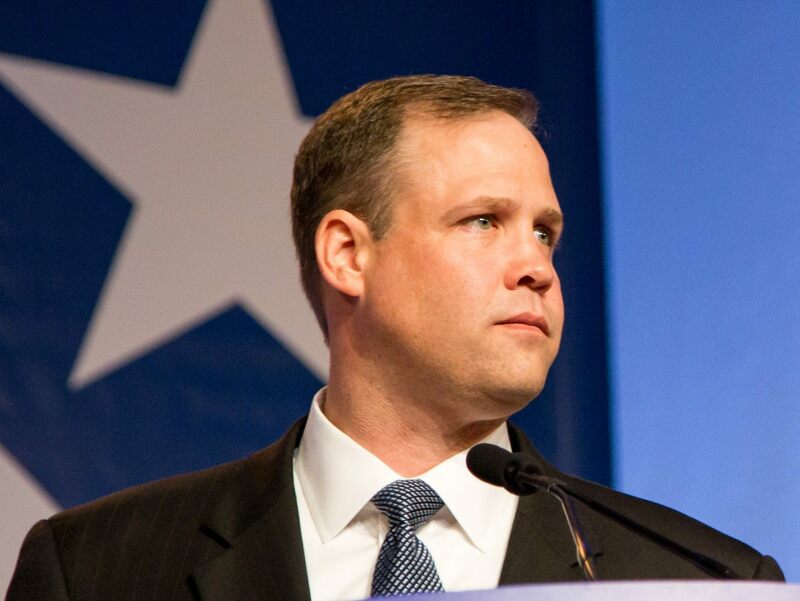 The Mars Society is calling on all Americans to urge their members of Congress to support the nomination of Jim Bridenstine as the next NASA administrator. A telecon to coordinate the campaign will be held Wednesday, September 20 at 8:30 pm EST (5:30 pm PST). Those interested in participating can call into the telecom at 563-999-2090 and offer passcode 438709# when prompted on their phone. After leaving the post of NASA administrator vacant for 8 months, in early September, President Trump nominated Representative Jim Bridenstine (R-OK) to the post. In view of Bridenstine’s long-time, deep interest and support of the space program, the Mars Society is urging approval of his nomination. Bridenstine has focused heavily on space policy during his tenure in Congress, stating “[O]ur very way of life depends on space, the way we communicate, the way we navigate, the way we produce food and energy, the way we conduct banking.” In April 2016 at the 32nd Annual Space Symposium, Bridenstine introduced H.R. 4945, the American Space Renaissance Act, comprehensive reform legislation with provisions affecting national security, civil and commercial space policy. In addition, Bridenstine has proposed legislation related to the regulatory process overseeing certain non-traditional space activities, and helped secure funding for the Federal Aviation Administration’s Office of Commercial Space Transportation. Recognizing his efforts in 2015, SpaceNews named Bridenstine as one of five game changers in the world in space. Commenting on the appointment and the controversy it has aroused, Dr. Robert Zubrin, Mars Society President, said: “The fracas over Bridenstine’s nomination for NASA administrator is unfortunate and unnecessary. Bridenstine is actually a very good choice for administrator. He is not only a Navy reserve pilot, but a steady and strong space advocate who really wants a space program that is going somewhere, which is exactly what NASA needs. He also has good relations across party lines in Congress that should prove extremely valuable in getting NASA the funding it needs to move ahead. His appointment should be welcomed. Far from being a careerist, Bridenstine would be giving up a very safe seat in Congress to take on the difficult challenge of leading NASA. Readers of my political columns should know that I am anything but inclined to be supportive of Donald Trump. The only serious ground for criticism of this appointment is that it was long overdue. The Bridenstine nomination now goes to Congress for approval. If you wish to have input into the decision, you can reach your Senator and/or House Representative through the Capitol Hill switchboard by calling 202-224-3121. You can participate in the conference from your phone/computer/tablet by using the URL https://join.freeconferencecall.com/marssociety - By using this option, you will also see the visual presentation. Note: If using option #2, please visit the URL at least 10 minutes prior to the call starting, so that you have time to download the necessary component to participate in the conference call from your device. Once you have joined the call, use the headset icon in the call toolbar to turn on audio. You can choose to dial-in for audio or use your computer sound (headset recommended). By using this option, you will also see the visual presentation we have.